Rachel Kushner’s first novel, Telex from Cuba, was nominated for a National Book Award and reviewed on the cover of The New York Times Book Review. Her second novel, even more ambitious and brilliant, is the riveting story of a young artist and the worlds she encounters in New York and Rome in the mid-1970s—by turns underground, elite, and dangerous. The year is 1975 and Reno—so-called because of the place of her birth—has come to New York intent on turning her fascination with motorcycles and speed into art. Her arrival coincides with an explosion of activity in the art world—artists have colonized a deserted and industrial SoHo, are staging actions in the East Village, and are blurring the line between life and art. Reno meets a group of dreamers and raconteurs who submit her to a sentimental education of sorts. Ardent, vulnerable, and bold, she begins an affair with an artist named Sandro Valera, the semi-estranged scion of an Italian tire and motorcycle empire. When they visit Sandro’s family home in Italy, Reno falls in with members of the radical movement that overtook Italy in the seventies. Betrayal sends her reeling into a clandestine undertow. The Flamethrowers is an intensely engaging exploration of the mystique of the feminine, the fake, the terrorist. At its center is Rachel Kushner’s brilliantly realized protagonist, a young woman on the verge. Thrilling and fearless, this is a major American novel from a writer of spectacular talent and imagination. Rachel Kushner’s debut novel, Telex from Cuba, was a finalist for the 2008 National Book Award and the Dayton Literary Peace Prize, winner of the California Book Award, and a New York Times bestseller and Notable Book. It was named a best book by the Washington Post Book Book World, the San Francisco Chronicle, the Seattle Times, the Cleveland Plain Dealer, the Christian Science Monitor, and Amazon. Kushner's fiction and essays have appeared in The New York Times, The Paris Review, The Believer, Artforum, Bookforum, Fence, Bomb, Cabinet, and Grand Street. She lives in Los Angeles. Rachel Kushner’s ambitious, devastatingly accomplished The Flamethrowers was probably the most talked-about American novel of 2013. Her fans include Jonathan Franzen and Colm Toibin. The Flamethrowers is a fictional cocktail that combines the 1970s New York art scene, motorcycle racing, the First World War and political upheaval in Italy and New York, all brought to life by a cast of charismatic, intricately realised characters. The year is 1975 and Reno has come to New York intent on turning her fascination with motorcycles and speed into art. Artists have colonised SoHo, are staging actions in the East Village, and are blurring the line between life and art. Literary tastemaker James Wood lavished it with praise in a hefty New Yorker review, calling it ‘scintillatingly alive … a pure explosion of now’ and admiring Kushner’s ‘eerie confidence … which constantly entwines the invented with the real’. Don’t miss the opportunity to meet the author of this novel, new in paperback (in February), that was named one of this year’s top ten novels by both the New York Times Book Review and Time and was also a finalist for the National Book Award. It’s a story, set in the mid-1970s, of a young woman who comes to New York intent on turning her fascination with motorcycles and speed into art. Telex From Cuba, Rachel Kushner’s “multilayered and absorbing” first novel about wealthy Americans in pre-Castro Cuba, was a finalist for the 2008 National Book Award and a New York Times bestseller and Notable Book. Kushner is the recipient of a 2013 Guggenheim Fellowship, and was a Visiting Writer to Syracuse University's MFA Program in Creative Writing for the Fall of 2013. Her new novel, The Flamethrowers traces the jagged trajectory of a young woman through the 1970s New York art scene and the Italian underground. The book was a finalist for the 2013 National Book Award and a New York Times Top Ten book of 2013. It was on almost every Best Book list of 2013. City Arts and Lectures presents Rachel Kushner, author of The Flamethrowers, in conversation with Vendela Vida. For more information visit: http://www.cityarts.net/ Our apologies, this event has been cancelled. Brentwood - Diane Leslie's Book Group with Author discusses "The Flamethrowers"
Diane Leslie's Book Group with Author meets to discuss Rachel Kushner's novel, The flamethrowers, on Monday, June 10th at 5pm. The best part? Rachel Kushner will be joining in the discussion!In her new book, Rachel Kushner tells the riveting story of a young artist named Reno and the worlds she encounters in New York and Rome in the mid-1970s -- by turns underground, elite, and dangerous. The year is 1975 and Reno has come to New York intent on turning her fascination with motorcycles and speed into art. Her arrival coincides with an explosion of activity in the art world; artists have colonized a deserted and industrial SoHo, are staging actions in the East Village, and are blurring the line between life and art. Reno meets a group of dreamers and raconteurs who submit her to a sentimental education of sorts. Ardent, vulnerable, and bold, she begins an affair with an artist named Sandro Valera, the semi-estranged scion of an Italian tire and motorcycle empire. When they visit Sandro's family home in Italy, Reno falls in with members of the radical movement that overtook Italy in the seventies when betrayal sends her reeling into a clandestine undertow. 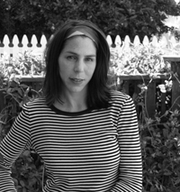 Rachel Kushner's, debut novel, Telex from Cuba, was a finalist for the 2008 National Book Award and the Dayton Literary Peace Prize, winner of the California Book Award, and a New York Times bestseller and Notable Book. Her fiction and essays have appeared in The New York Times and The Paris Review. She lives in Los Angeles. Rachel Kushner is currently considered a "single author." If one or more works are by a distinct, homonymous authors, go ahead and split the author. Rachel Kushner is composed of 2 names. You can examine and separate out names.